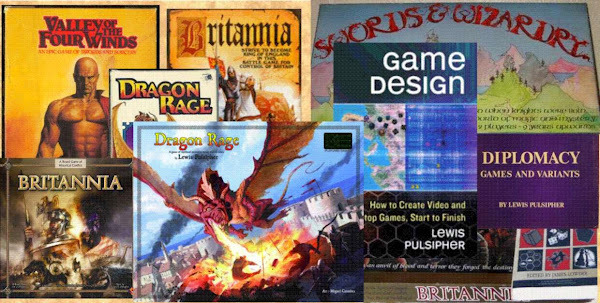 For the benefit of my digital game students, I'm trying to summarize/categorize the many victory conditions available in games (especially board and card games). Use up all your assets (be eliminated) either last, or first--can be seen as a form of accumulate something or get rid of something. Scoring the most points at the end of a set time, or a set number of points, is very common (Settlers of Catan, Brittania), but this is an intermediate step to the achievement of some other goals--money, territory, whatever. Points are used when multiple victory conditions are wanted. For example, Britannia points include holding territory, temporarily occupying territory, killing enemy units, capturing certain locations, and more. I am going to include "choose own objectives" separately. In the classic game Careers, players secretly allocate 60 points amongst Fame, Happiness, and Money. The first to achieve his objectives wins the game. While it is an "accumulate something" condition, the strategic variability provided by choice is exceptional and notable. Finally, some games have "Missions" (newer editions of Risk). This is another form of points, that is, each mission is one of the other kinds of victory condition. I don't consider sports to be a form of boardgame/cardgame, but even sports can be considered in these terms. For example, in baseball, you get points by achieving a position (getting around the diamond to home plate). There is also winning by putting your opponent in a situation where they can't do anything. (E.g. in classic combinatorial games.) This shows up in some marketed abstract strategy games, e.g. it's one possible end to the new Gipf project game Tzaar.